← Snow brings the runners out! It’s been a long time since my last post, but a lot has been happening. 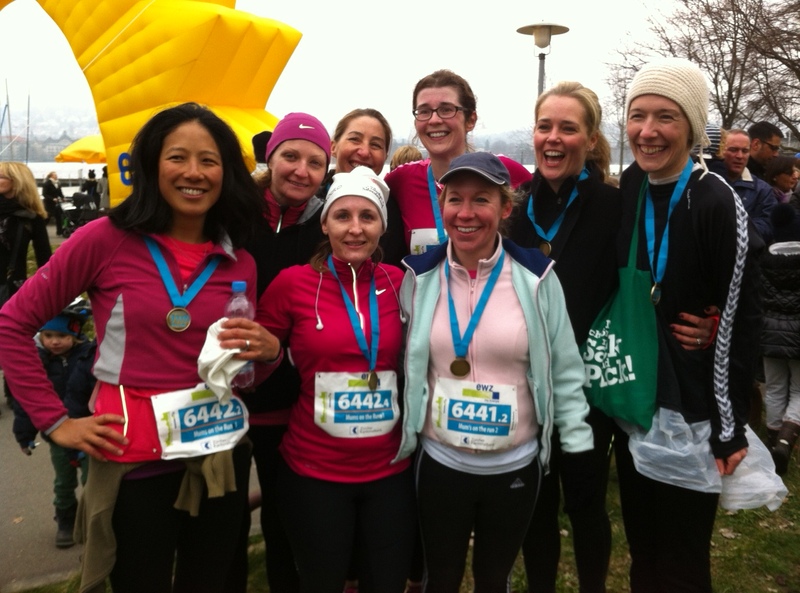 As mentioned in my last blog, I put out some feelers regarding registering a team for the Zürich marathon and had such a good response that we ended up having enough people for two teams. With motivation required to get out and run in the winter snow, this gave us the beginnings of a running club that currently has 13 members and meets 2 – 3 times per week. Having run for a year on my own, it has been amazing to go out with other people and combine two of my favourite things: socialising and running! I still go out occasionally on my own as I don’t want to lose the ability to run on my own when needs be. 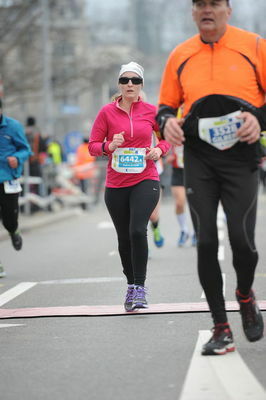 Last weekend, it was time for the Zürich marathon. The 8 team members (4 in each) meet-up together the day before to collect our start numbers and then we decided to drive the course to see where the transition zones were. The team event required us to have 4 runners in a team running a variety of distances: (1) 9.7km, (2) 19.8km, (3) 4km and (4) 17.7km. We would be given one wrist timer and then have to pass this on to the next runner within specified transition zones. Our teams: Mums on the Run 1 and Mums on the Run 2 finished 37th and 52nd respectively out of 81 women’s only teams. The format for the team event was excellent and extremely well organised. All the transitions went smoothly and, when the last runner reached 38km the other team members received a text message so they could get to the special team meeting point and run the last 400 metres together! It is a great way to have the marathon atmosphere without the extra training. I have some fun 10km runs coming up in the next couple of month’s before the next big target which is the Swiss Alpine Half-Marathon. I did the 10km race at this event last year so am stepping up a category. Will have to start the hill training soon.